Such work brings benefits ranging from personal income to conferring purpose and meaning by way of meeting needs of clients, customers, shareholders and within society more generally. Been ends by raising a toast to his loved one, praying blessings from above on that person and affirming that they are ready for the new day to begin. In Psalm 118. 24 we read, ‘This is the day that the LORD has made; let us rejoice and be glad in it.’ Michael Been’s celebration of human activity and the value of our daily work gives us one reason why we can give thanks, rejoice and be glad at the beginning of each new day that the Lord God has made. rest upon us and remain with us evermore. Simple Minds - Let The Day Begin. 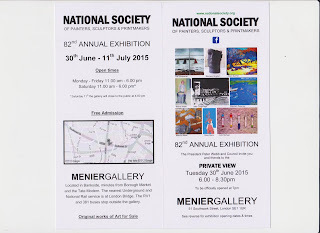 Tonight the Private View for the 82nd Annual Exhibition of The National Society of Painters, Sculptors & Printmakers was held. 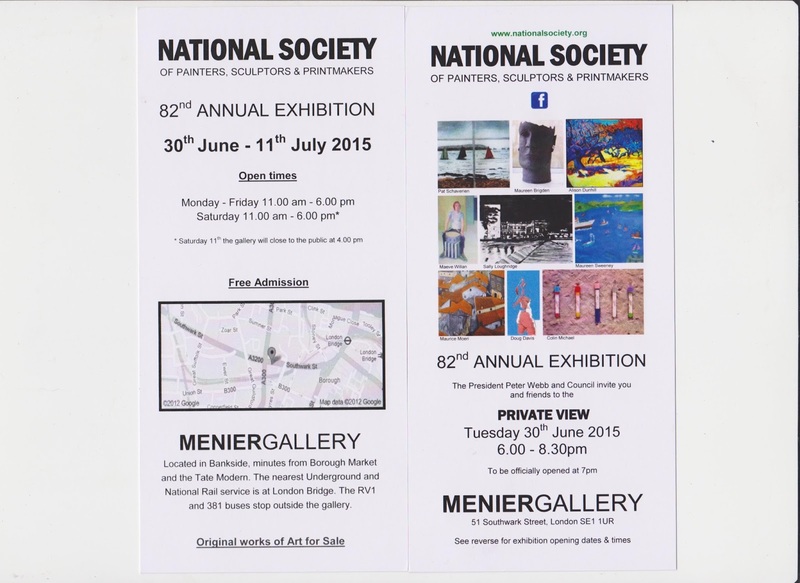 The exhibition is at the Menier Gallery until Saturday 11 July. The National Society is a charity with 80 artists showing a wide variety of art, from modern to classical styles in three disciplines. The aim of the society is give emerging artists a platform to exhibit in a major London gallery. The exhibition includes work by commission4mission artists, Elizabeth Duncan-Meyer and Peter Webb. Yesterday, at St Martin-in-the-Fields, a reception was held to celebrate the loan of the painting Parameter by Mark Francis as part of the St Martin-in-the-Fields Art Programme curated by Modus Operandi and overseen by the St Martin-in-the-Fields Arts Advisory Panel. When I preach at weddings I often tell the story of the Love is … cartoons. ‘Love Is...’ began as shy love notes from the artist Kim Casali to her future husband, Roberto. Each of these notes involved a little drawing and a personal sentiment that perfectly captured Kim's thoughts and feelings for the man she loved. She began these drawings when they were dating, and she would leave the cartoons where Roberto would be sure to find them. After they were married, he showed her that he'd kept them all the drawing she had made for him. The cartoons were picked up by the press, were first published in The Los Angeles Times in January 1970, and then their popularity grew globally and they were published daily in 50 countries around the world and translated into 25 languages. The ‘Love is …’ cartoons and 1 Corinthians 13 both agree with another well-known ‘love is’ statement; ‘Love is a many-splendoured thing.’ Love cannot be captured or summed up in one cartoon or phrase or even in a series of cartoons or phrases. Love constantly bursts the bounds of our descriptions or definitions and this is why there is no end to songs, poems, novels, films, dances and plays about love. At the Guildhall Art Gallery we can see that the subject of romantic love preoccupied Victorian artists who addressed themes of unrequited love, social incompatibility, family disapproval, and separation at war. Nearer our own time, C.S. Lewis is well known for looking at some of the different loves described in Greek thought - familial or affectionate love (storge); friendship (philia); romantic love (eros); and spiritual love (agape) - in the light of Christian commentary on ordinate loves. Despite his writings on The Four Loves he was himself surprised by love as his own relationship with Joy Davidman developed. The experience of love confounded his earlier more academic perceptions of it. The strength of God’s love for us was revealed among us through his sending of his only Son into the world so that we might live through him. ‘In this is love, not that we loved God but that he loved us and sent his Son to be the atoning sacrifice for our sins.’ Christ searches for us like the Good Shepherd searching for the lost sheep. His journey of salvation shows how much we are loved by him as he gives up all he has in order to seek us out and rescue us. The extremity of God’s expression of love in giving all in self-sacrifice reveals the limitless nature of love which constantly escapes the limits of our experiences, descriptions or definitions. If God is love then, just as God is infinite and cannot ever be fully grasped by our finite minds, so love also must be inexhaustible. As St Paul stated in 1 Corinthians 13, ‘Love never ends’. Love, like God, is an infinite ocean into which we dive and can always swim deeper and further. Healey Willan - Rise Up, My Love, My Fair One. A major new exhibition, Genesis, by artist Julian Bell is at St Anne’s Galleries, Lewes this summer. The exhibition presents an extraordinary series of 37 panel paintings in oils that represent a bold new interpretation of the first thirty three chapters of the Bible. Bruce Cockburn - Creation Dream. Messiaen wrote his piano piece Vingt Regards sur l’Enfant-Jésus (20 Contemplations of the Infant Jesus) in 1944. It was originally a Radio Paris commission, based on some poetic tableaux by the French writer Maurice Toesca. Symmonds Roberts writes: 'What I hadn’t realised was that Messiaen began to write the piece in Paris under German occupation in March of that year, and finished it in September after liberation. Although his commission was to write music to accompany the 12 sections of Toesca’s text, Messiaen soon abandoned that, pursuing his own poetic vision into wilder and stranger territories. Pianist Cordelia Williams is presenting ‘Between Heaven and the Clouds’, a year-long series of events setting Vingt Regards alongside words and images, including specially commissioned poetry and paintings, in order to explore these universal themes and Messiaen’s rich variety of inspiration. Olivier Messiaen, Vingt regards sur l'Enfant-Jésus. "MIA speaks of emotions being inherent in colour and line. By following these lines and colours she is led to the image. Risk and adventure and the resulting spontaneity are key to her art. Her work fuses colour, music, emotion and nature in ‘a sun-burst of colour, of joy and imagination.’ Each painting, MIA says, ‘is a solar flare of colours.’"
My other ArtWay meditations include work by Marian Bohusz-Szyszko, Christopher Clack, Marlene Dumas, Antoni Gaudi, Maciej Hoffman, Maurice Novarina, John Piper, and Henry Shelton. T. Bone Burnett - Power Of Love. Florence & the Machine - St Jude. 'It would be great to mark Independents Day on 4th July and independent shops. It's probably too late but if you have ideas let me know. Click here for info. We had a really great enterprise club on Tuesday this week with first tweets, Linked In accounts etc. Click here to read all about it and see the first tweets! There's a Nat West session at the Wedneday job club on starting your own business. All welcome. click here for info. We are looking for new venues and ideas for skills swaps and Timebank events. To read about recent ones, click here for the recent community skills swap and here for health farm day. And please don't forget that I am always looking for guest bloggers and/or good start-up news to share! Brand New Heavies - Dream On Dreamers. A report focussing on City of London Churches calls for improved physical and digital access to churches to respond to visitors’ interest in religious heritage and breath more life into the Capital’s religious heritage assets. The Interpreting Religious Heritage report produced by students from Worcester Polytechnic Institute Massachusetts (WPI), on behalf of Art Alive in Churches (AAiC), is the first in a series of studies promoted by the East Anglian charity into the understanding of and marketing of the United Kingdom’s rich ecclesiastical heritage. The report concluded that lack of promotion, limited interpretative materials and poor access for visitors with disabilities, means that City of London Churches are missing opportunities to tap into London’s vast tourism market. Lack of funding is a key barrier to making improvements, but the students concluded their report with a series of practical recommendations, which are relevant to any historic church wanting to improve access and understanding of its heritage. The report recommended that churches should be made more welcoming by leaving doors open, by installing glass doors (where practical) and keeping the lights on. They should also take measures to improve access by installing ramps for visitors with disabilities and increase intellectual access by providing improved websites and interpretative materials. Carleen Anderson - Salvation Is Free. ‘Frayed Ideologies’ at the Hay Hill Gallery presents the latest paintings by the internationally acclaimed artist Patrick Altes and invites us to consider the struggle to define ourselves, and the process of being human. The work relates to the melting pots and breaking points of land, conflict, and diaspora. It refers to our living in times of extreme turbulence and instability – both political and environmental - and herald dreams and resurgences from the unconscious linked to the artist's personal vision and perception of the world. The series of large-scale paintings are visually arresting with their powerful monochromatic collages and complex markings. They depict mass movement, the drive and energy of eruption, transition and revolution. These shreds of papers collaged on the canvas are purposely distressed, torn and show marks of the passage of time. They are never-merging and forever juxtaposing; they find their junctions and their specific arrangement to form non-random, synchronistic shapes, patterns, movements and tensions, which echo the inner tensions driving the artistic process. The use of paper is deliberately reminiscent of calligraphy and arabesques. It harks back to a variety of western and eastern influences: Aborigines' myths of origins, Villeglie's torn posters, Japanese action painting, and lyrical abstraction. Patrick Altes says: "In a world with constant, often rapid and brutal transformation, our identity remains defined by our attachment and sense of belonging to a specific land. Straddling two worlds refers to this delicate and often uneasy balancing act that we experience when living in a culture different from the one we originate and the sense of uneasiness and not anchored that it elicits. This restlessness can be construed as a disadvantage or enjoyed for its liberating aspect. There is a mirror effect between outer fractures in the world and the inner turmoil we are experiencing. Sitting on the fence is no longer an option as moral dilemmas concern us all." Hybridity by Altes can be seen in The Bridge at St Martin-in-the-Fields. Altes writes of this work: "Whether or not you are a believer, the cultural, social, and political importance of religions is indisputable. They are intertwined in the history of civilization and often the prime source of their evolution. They can act as great dividers or powerful pacifiers. This painting represents the living space of freedom and dynamic harmony religions can create when they bring the best in humanity." Duke Special - In A Dive. The City of London is unique in having such a large and wonderful body of churches produced by a single architect – Sir Christopher Wren. The Wren Choral Marathon, part of the City of London Festival, gives you the chance to hear concerts by 17 different choirs in 17 Wren churches in a single day (Saturday 27 June), starting at 8.00am and concluding with a midnight Vespers at St Stephen Walbrook; a fantastic opportunity to spend time indulging in great architecture and wonderful music in as many Wren churches as you can manage in a day. The City of London has a plenitude of riches in the form of its incredible Wren Churches. Not only are they wonderful buildings but also extraordinary venues for choral music. This grand showcase of exceptional buildings combined with outstanding performances, not only celebrates the genius of Britain’s best-loved architect Wren, but of choral life in London. The concerts will feature a wide array of ensembles including professional, amateur and children’s choirs, performing a broad range of musical styles – medieval, classical, contemporary, gospel and jazz. The performances will each last 45 minutes, with 15 minutes given for you to travel to the next venue. Can you take on the #wrenathon? The Festival dares you to try and witness all 17 concerts. If you complete this challenging church quest you could stand the chance of winning a very special prize. To take part, our amazing Festival stewards will be available to stamp your programme at each church. Once you have received stamps for all 17 churches, hand over your contact details and show your stamped programme to a specified steward at the end of the day. Your name will be added to a prize draw for your chance to win a very special prize! Jesus' reaction to the storm (to sleep) and his response to his disciples after the stilling of the storm ("Why are you frightened? Have you still no faith?") suggest that he had expected the disciples to ride out the storm both by acting as responsible sailors and trusting in God to see them through. Jesus is able to sleep because he trusts his disciples to get him safely to the other side of Lake Galilee, even in the midst of a storm. After all, many of them are fishermen, experienced sailors, while he is, as a carpenter, a landlubber. The disciples know boats and they know the lake, it makes sense that he would trust them to sail safely from one side of the lake to the other. He trusts them enough that he can catch up on some sleep while they get on with doing what they are actually very good at doing. The disciples have skills and knowledge of sailing and Jesus expects them to use these and trusts that they will use them well. Instead, they are panicked by the storm, forget to do the things that sailors should do in a storm and, as a result, come close to going under. The problem comes, of course, when they don’t use their skills and knowledge well. The strength of the storm is such that they panic and don’t take actions (like taking down the sail, bailing out the water, and steering against the storm rather than with it) which would have enabled them to ride out the storm and get to the other side of the lake. They made the situation worse by panicking and it was their panic which could have got them killed. This seems a salutory tale for us in the unanticipated storms of life – whether, the credit crunch and the recession it caused or more personal storms such as ill health or redundancy. Instead of panicking and looking for a miraculous instant solution to the storm in which we find ourselves, the faithful thing is to act responsibly, securing what can be secured and steering our way through the storm, trusting that we will come through, battered and blown, but alive nevertheless. Lord Jesus, help us respond to the challenge of your question to the disciples as we face the storm of this time of austerity. May we trust, and in our trust, take the responsible and sensible decisions that will secure our futures and those of others, both those we support and those who depend on us. Steer us through storms, as we trust in the skills and experience you have given. Lord Jesus, guide us as we make decisions in difficult times – the storms of life. Enable us to take the long view as we decide rather than acting only in the short-term, enable us to act in the wider interests of others – the common good – rather than thinking and acting primarily in our own self-interest. Lord Jesus, thank you for giving each of us skills and experience. We pray that these will not be negated by a sense of panic in times of storm and difficulty but that we will trust enough in all you have given us to believe that if we use our skills and knowledge well, we will come through. Lord Jesus, we pray for the EU and Greece in this week of crisis and decision. May all those who negotiate this week over the fate of these nations and their economies know your leading and take responsible actions which will enable all involved to draw back from disaster. Trust in God, trust in God’s leading, trust in responsible actions, trust in the skills and experience God has given, trust in the midst of storms and difficulties. May those blessings of God, Father, Son and Holy Spirit, rest upon you and remain with you always. Amen. Cat Stevens - Morning Has Broken. 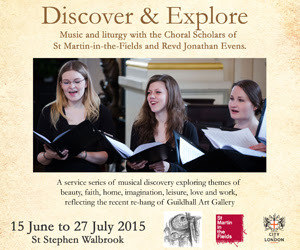 Discover & explore: Music and liturgy with the Choral Scholars of St Martin-in-the-Fields and Revd Jonathan Evens is a service series of musical discovery exploring themes of beauty, faith, home, imagination, leisure, love and work. Includes music by Thomas Tallis, Moses Hogan and James Whitbourn, and readings from the Bible, Brother Lawrence, Ernesto Cardenal, Samuel Taylor Coleridge, W.H. Davies, Magna Carta, among others. From 1.10 - 1.50pm at St Stephen Walbrook, the remaining services in the series are: 29th June: Love; 6th July: Work; 13th July: Imagination; 20th July: Leisure; 27th July: Beauty. The series is a partnership with Guildhall Art Gallery using themes from the recent rehang of their collection. Join us for a guided tour of the Guildhall Art Gallery collection, as part of the Discover & explore series, which will take place on 21 July at 1.10pm. Meet in the main entrance of the Guildhall Art Gallery. Van Morrison - On Hyndford Street. Last Friday I took the funeral of Jean Bateman, a long-time member of St John's Seven Kings and Ward Sister at Chadwell Heath Hospital, while yesterday I led the Memorial Service for Dame Mary Glen Haig at St Martin-in-the-Fields. One key connection, besides a shared involvement in healthcare, between the two services was the onset of dementia in the latter years of both whose lives we celebrated. In the prayers which drew the various threads of Dame Mary's Memorial Service together I prayed for those who experience dementia and those who are alongside providing care. This prayer was particularly appreciated by those who attended the service from Vale House, where Dame Mary lived for the final two years of her life. Their sense that prayer for those with dementia and those who are carers was unusual is an indication of the need for the Dementia Friends awareness campaign, which is also being taken into churches. St Martin's has already held one moving and informative evening on the theme of lived experience of dementia, and is planning more such evenings. In 1992 the World Council of Churches published a short but influential book by Raymond Fung called ‘The Isaiah Vision’. In this book Fung set out a simple but profound agenda for social action based on the vision in Isaiah 65 for God’s new heaven and earth. In this vision: infants survive into adulthood with good health; older people live in dignity; there is decent housing for everyone; work is there for all who want it; and different kinds of people live together in harmony. The main features of this vision are good health and long productive lives, shelter, food, work that benefits the worker, and peace. In the Isaiah vision for the world no one would have power over another in such a way that the less powerful are deprived. It is a vision of a settled, creative and fulfilled community and, as such, one where people are released from struggle to focus better on their spiritual lives and their devotion to God. Van Morrison conjures up a similar vision of home in his song ‘On Hyndford Street’ which recalls in idyllic form his childhood in Belfast. His song combines a sense of familiar locales, people and activities with a sense of the wider world both through trips outside the City and through the influences of radio and reading. All of this is encompassed by a sense of God’s presence, so that both his dreaming and his living is ‘in God’. Such visions of Home began to be realised in some measure in the Victorian period, which documented in the re-hang of the Guildhall Art Gallery’s collection. The beginning of the nineteenth century saw the separation of work from the home. The Arts and Crafts Movement and the Aesthetic Movement created beautiful objects which enabled homes to change from utilitarian spaces to comfortable and tastefully decorated refuges for families. While these Victorian movements often catered primarily for the cultured and wealthy, Fung’s understanding of the Isaiah Vision is that it is a “minimum social vision” which encompasses the whole of society and “around which people of all faiths and none can unite.” Fung says that, “If the Isaiah Agenda is a Christian Agenda it is no less a Jewish, Islamic and a secular Agenda… Christians rejoice over the fact of our non-monopoly.” Therefore he calls the church to partner with “everybody and every organization which has anything to do with the Isaiah Agenda.” The book therefore recommends partnering with other groups in the community who would share this same vision, working with them for the transformation of society and then inviting them to get to know God for themselves. This is what Isaiah 65 and Raymond Fung have done. To what extent do we share this vision of new homes in a new heaven and new earth where: infants survive into adulthood with good health; older people live in dignity; there is decent housing for everyone; work is there for all who want it; and different kinds of people live together in harmony? If we do share this vision, to what extent are we prepared to work towards it here and now? Anton Bruckner - Locus Iste. At the enterprise club on Tuesday we are running a practical hands-on social media session and need Timebank help. Please bring your laptops and devices and we will see what we can do to help . Click here for more info and best to book in. The first Timebank health farm on Wednesday was wonderful. 15 very happy people. Info here, and for a list of local well-being practitioners. The City Business Library new schedule of free courses is out. Click here for info. Thanks very much to Jeff Conway of Redbridge Chambers for coming to the enterprise club. See here for his tips. Bob Marley - One Love. Joni Mitchell - The Sire of Sorrow (Job's Sad Song). On Wednesday I attended the Private View for the New English Art Club's Annual Open Exhibition 2015 at the Mall Galleries. I was there at the invitation of Paul Curtis, who is exhibiting flower studies painted at St Ives. These share a quality of light with the work of Winifred Nicholson and have a similar interest in contrasts and movements between the interior and exterior. Paul lives between London and Sheffield whilst painting full-time and delivering workshops and courses on painting and drawing throughout the UK. He is the resident curator of artworks for the Blue Moon Cafe and gallery in Sheffield and in 2011 was elected a Life Member of the New English Art Club. I also enjoyed seeing the work of Louise Balaam, Michael Cooper, Julie Held, Peter Kelly, Salliann Putman, and William Selby, among others. Bob Brown, Charlotte Halliday, Anthony Morris and Charles Rake have all contributed paintings of churches, while Paul R Gildea has included Saint Boy and John Whitehill Jacob's Ladder. Robert Plant and the Sensational Space Shifters - Rainbow. St Giles' Cripplegate is one of the few remaining medieval churches in the City of London and, after surviving devastating bombing during the Blitz, it sits at the heart of the modern Barbican development. The East Window was designed by Gerald Smith of the Nicholson Studios, a London-based stained glass studio, which made the window in 1960. The firm's output covered the years of restoration following both World Wars. After the medievalism of the Gothic Revival and the intense spirituality of the Arts and Crafts movement, Nicholson and Smith's inventive, light, plain windows were much appreciated. The East Window follows the pattern of the medieval window, of which traces came to light as a result of war damage. The design incorporates many figures of historical significance to the church, as well as the instruments of the crucifixion at the top. The West Window was designed by the Faircraft Studios and installed in 1968. In the centre is the coat-of-arms of the City of London, which is flanked on its left by the coat-of-arms of the Archbishop of Canterbury, and on its right by that of the Bishop of London. In the lower frame, from left to right, are the coats-of-arms of Robert Glover, Somerset Herald of Arms in the reign of Henry VIII, who was buried in the church; of John Milton; of the Earls of Bridgewater; Oliver Cromwell, and Sir Martin Frobisher. There were ten Earls of Bridgewater and three Earls of Kent buried in the church. There are two modern stained glass windows on the north side of the church. In the baptistery is the Cripplegate Window, which celebrates the centenary of the Cripplegate Foundation which gives grants, advice and support to local organisations. The Foundation was formally established in 1891 but its origins lie in gifts made to St Giles' for the poor and the needy dating back centuries: John Sworder made the first recorded gift in his will, dated 2 April 1500, and the head at the top of the window represents Sworder, the first of the pious donors of the parish that we know by name. The window, erected by the stained glass studio Goddard & Gibbs and designed by Sheelagh McKinlay from Bow, East London, also shows other beneficiaries of the Foundation, and the buildings in the middle ground represent St Giles' and St Luke's churches and the Barbican development. On the north wall of the church is a memorial window to Edward Alleyn, the parish's generous benefactor. The design is the work of John Lawson of stained glass studio Goddard & Gibbs and depicts Alleyn in the centre, as well as the Fortune Theatre (which he founded), almshouses (which he built in the parish and which were destroyed in the Second World War), and St Luke's Church, Old Street. Under the organ gallery are four busts of famous parishioners, on loan to St Giles' from the Cripplegate Foundation. They were modelled by the sculptor George Frampton, whose most famous statue is that of Peter Pan in Kensington Gardens. On the left as you enter the space under the gallery is the bust of Daniel Defoe, author of Robinson Crusoe, who was also a government agent, pamphleteer, and brick-maker amongst other roles. The next bust is of the author John Milton, perhaps the most famous resident to be buried at St Giles'. He is also commemorated with a bust and a statue in the south aisle, and his burial place is marked by a stone on the floor near the pulpit. On the other side of the glass doors are busts of Oliver Cromwell, who ruled England during the Protectorate in the 1650s, and the non-conformist John Bunyan, author of Pilgrim's Progress, who is buried in the dissenter's graveyard of Bunhill Fields, a short walk from St Giles'. Benjamin Britten - Curlew River. The Canada Gallery offers an ongoing program that brings the work of Canadian artists to the heart of London. The Canada Gallery is open to the public Monday-Saturday from 11:00 to 17:45 via the Pall Mall entrance. Admission is free. The current exhibition in Canada Gallery, entitled, Tabula Rasa, is curated by Kathleen Ritter and brings together nine highly representative works made over the course of Ian Wallace’s career. British-born and Vancouver-based, Ian Wallace has been an influential figure in contemporary art in Canada and abroad for the last five decades. He is recognized for the leading role he has played in the development of an internationally renowned photographic and conceptual art practice in Vancouver since the 1960s. Canada House on Trafalgar Square serves as a showcase of Canada in the 21st century and can be visited through upcoming public tours on selected Friday afternoons. Please note that security arrangements for this diplomatic facility require that Canada House is not open to general visitors and all guests must register in advance to attend these public tours (spaces are limited). The revitalized Canada House has drawn upon the diverse talents of Canadian artisans and craftspeople from coast to coast to coast in order to deliver a building that celebrates the very best of Canada in the 21st century. Bocci lighting installation. Celebrated Vancouver designer Omer Arbel created 57.157, the 14.5-metre high glass and metal chandelier that provides a clear contrast between old and new from its position in the grand staircase. Warren Carther glass wall. The Winnipeg-based glass artist has created a backlit structural glass wall featured in the Sir Wilfred Laurier Room that evokes images of Canada ranging from the beaver to snow. Edmonton’s IZM, a furniture company specializing in hand-made furniture, contributed tables and credenzas to several of the rooms, including one for the dedicated Alberta room. Made of Canadian white oak, walnut and maple, the pieces inject a modern sensibility into their surroundings. Quebec wood artist Kino Guérin has fashioned two benches from single strips of material – including a signature ‘Why Knot’ bench that add a playful touch to the building. Sabina Hill of Port Moody in British Columbia collaborated with Mark Preston, a First Nations artist born in Dawson Creek, Yukon to create a striking signing table that will sit at the entrance to Canada House. The piece incorporates western red cedar, bronze and glass and evokes the traditional watchmen of B.C.’s Tlingit culture. Ontario-based Style Garage created a stunning walnut meeting room table and credenza for the Ontario Room. Toronto-based Creative Matters was responsible for the creation of spectacular custom rugs based throughout the building. Sufjan Stevens - Lakes Of Canada. Lord Jesus, in your face we see the light of the knowledge of the glory of God. 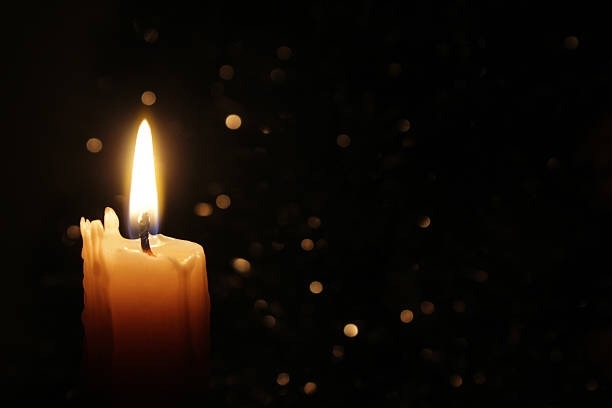 Your light in our lives is like a flame inside a cracked clay jar, with your light seen through the lines of stress and tension that characterise our lives. As flawed people in a fragile world, we recognise that there is a crack in everything. We recognise, too, that it is through the cracks in our existence that your light gets in and shines out. We share in the vulnerability and suffering that was your experience of death in order that your life is also seen as being our strength in weakness. May we not be crushed, driven to despair, forsaken or destroyed, but in the stresses and tensions of our lives know your power loving and sustaining us. May we no longer strive after perfect offerings and pray instead that every heart to love with come, but as a refugee. Amen. Imagine the scene, it is one of the bigger, must go to events of the year at the Mansion House; maybe the annual speech by the Chancellor of the Exchequer. All the invitations have been sent but all the usual invitees make excuses and will not come. Instead, the Lord Mayor of London instructs his staff to bring to the banquet all those who are rough sleepers in London. This scenario would seem to be a fairly close equivalent to the story of the Great Dinner which Jesus told, set as it was in his own day and culture (Luke 14. 15 -24). Imagine what the event would be like were that scenario to happen? Would, for example, the Chancellor have felt able to deliver his message of austerity if his audience had been made up of those at the sharp end of those policies and decisions? Jesus' story, as with many of his parables and messages, reverses what we normally expect in real life. Essentially the great and the good exclude themselves from the Kingdom of God, while those we least expect to find there are welcomed with open arms; the last become first while the poor are blessed. This is actually the logical implication of Jesus' incarnation. In Jesus, God comes to be with human beings in the challenges and stresses of our human existence. Those who view themselves as fundamentally AOK - usually, the great and the good - don't see the need for someone alongside them in this way and therefore can reject Jesus, his invitation and welcome, just as occurred in Jesus' own day and time. Those who do acknowledge their need to have God alongside them, however, find another strange reversal occurring. Rather than coming alongside to help, Jesus comes alongside to share and to learn. The incarnation is an affirmation of those in distress and difficulty. God, in Jesus, essentially says to us that we are valued and valuable. All too often we exercise our power and position by seeking to help others out of their predicament, as opposed to truly being with them in it and learning from their experience and perceptions. This is what Jesus wants us to realise and experience as a result of his stories and sayings. If rough sleepers were to be invited to the Mansion House and the Chancellor were to genuinely spend time with them seeking to learn from them and their experiences, then very different Government policies would result. What those would be I could not predict, but that is the path onto which we are called both by Jesus' incarnation and this parable, where the King comes to be with those in distress. 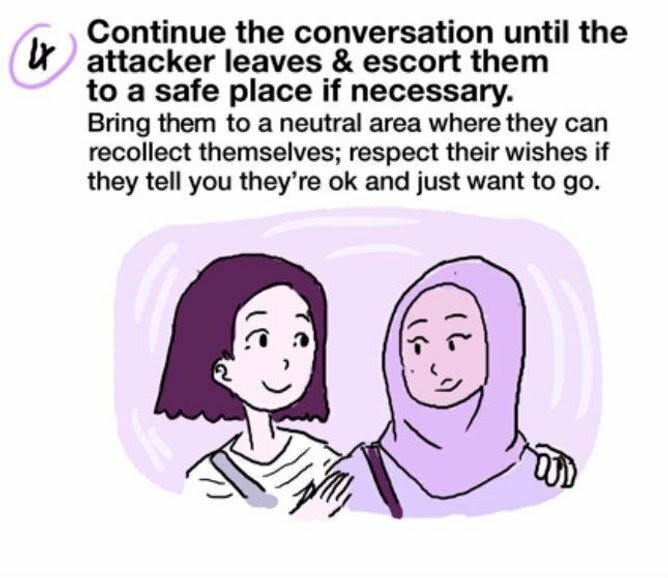 ‘When you talk to us, we will give you an opportunity to talk about any thoughts or feelings you have, whatever they may be. Sometimes people need to cry or show how angry they are at life, or go over their thoughts and feelings several times to make sense of them, and that’s fine. We're there for as long as you need us. We won’t make decisions for you, and we'll support the decisions you make. You are the expert on your own life. Our advice or opinions are not important. We won’t talk about ourselves, even if you ask us to. We’re there to give you time, space and support – you don’t need to ask how we are, or give us time in return. We don’t impose any personal attitudes or beliefs on you. By setting up Samaritans in this way Chad Varah made Jesus' parable reality. The call on our lives as Christians is to do the same. Björk - Prayer Of The Heart. Start your day by stopping to reflect for 10 minutes. 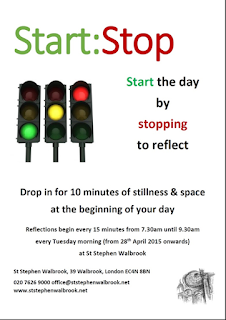 Every Tuesday morning there is a rolling programme of work-based reflections at St Stephen Walbrook (39 Walbrook, London EC4N 8BN). Every 15 minutes between 7.30am and 9.15am, a 10 minute session of reflection begins. These sessions include bible passages, meditations, music, prayers, readings and silence. Drop in on your way into work to start your day by stopping to reflect for 10 minutes. 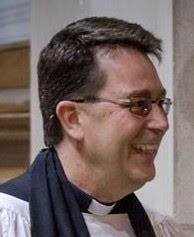 Research undertaken by Roffey Park in the past, claimed that nearly three-quarters of workers are interested in "learning to live the spiritual side of their values" and 53% are experiencing tensions between "the spiritual side of their values and their work". Such tension comes when we feel that the values of our faith are not aligned with the values of our organisation. In this situation we feel compromised because we are either not able to be all out for God in our workplace – where we spend a significant majority of our time – or we are not able to give our full commitment to our work and, therefore, are not as fully motivated as we would otherwise be. It is helpful that, in more recent years, organisations have set out their values and discussed with employees how these are applied in the workplace. That provides the opportunity to consider to what extent our faith values align with the values of our organisation. The closer the fit, the more we will feel able to bring our faith to work by living out our values. God’s call on our lives is to love him with all that we have; heart, soul and mind. That necessarily means in the whole of our life, including our working lives. Assessing the extent to which our faith values fit with those of our organisation enables us either to give ourselves fully to our work - putting heart and soul and mind into our work because there is a good fit between our faith values and our organisation’s values – or to become aware where the sources of tension in our work and faith are, so we can either seek help in living with those tensions or seek work which provides a better fit and greater motivation. Lord Jesus, who shaped wood as a carpenter, who taught multitudes and who came to serve others, we lift up to you our work and the values which underpin it. We pray for a good fit between the values of our faith and the values of our organisation. Help us to see where the points of connection of may be and as these are identified, may our motivation to serve you and others through our work increase and grow. Lord, may we love you with heart, soul and mind as we put our heart, soul and mind into our work. We pray for any who are experiencing tension between the spiritual side of their values and their work. We ask for confidantes to whom they can talk honestly and openly about those tensions and that ways to lessen those tensions will be found. We ask for guidance as we seek to bring our faith to work by living out our values in the way we approach our work and relate to our colleagues and customers. May compassion and service characterise our dealings with others. We pray that the way our organisations do business will benefit others, through the products or services we provide, the way these are delivered and their broader impact on society. Enable us to be a positive influence within our organisations by seeking to live out its values to the best of our ability. May we love you, Lord God, with all our heart, and soul, and mind this week as we put heart and soul and mind into our work. May your values inform all we do, say and think within our workplace and in the rest of our lives. May that blessing of God, Father, Son and Holy Spirit, rest upon us and remain with us always. Amen. Ēriks Ešenvalds - O Salutaris Hostia. as we are led by emotion. Festival of Love is at the Southbank Centre until Monday 31 August 2015. It provides a summer of love-themed activities, performances, music, exhibitions and free events as hundreds of artists, communities and partners come together to create an unforgettable summer. Enjoy the Thames-side site transformed by several large-scale indoor and outdoor installations, interactive artworks and unique pop-ups to spend time in with your friends and loved-ones. Violent Femmes - Love, Love, Love, Love, Love. What these artists and musicians are describing is a sense of art as gift. On a practical level, there are several different ways in which this experience can occur. The practices of the visionary artist Cecil Collins are instructive in this regard as they cover much of the relevant territory. Collins said that he had ‘two ways of working’ and that he ‘alternated between these at different periods of his life.’ His first method was to ‘reflect on a particular vision within his imagination, often down to the smallest details.’ Because he had the ‘faculty of inner sight of the painting,’ it was ‘rare for him to make any preliminary studies beyond a rough sketch in pencil.’ In this, he was similar to William Blake who, when asked by a lady, amazed at his detailed description of a pastoral scene he had recently witnessed, where he had seen it, replied, “Here, Madam,” while touching his forehead. Stanley Spencer was another visionary artist to whom the vision of the painting was given first in his imagination before transferring this vision whole to canvas using under-drawing based on a grid. This method can be clearly seen in Spencer’s unfinished painting of ‘Christ preaching at Cookham Regatta’ which is at the Stanley Spencer Gallery in Cookham. This process of being led by the marks one makes on canvas or paper is also experienced by artists in terms of a sense of gift. In this instance, rather than being given the image whole, the artist is led to the image by the mark making process itself. MIA has, I think indicated that she may use a similar approach, in speaking about the emotions inherent in colour and line. As Michael Hutchinson-Uzielli has noted, ‘Mia's paintings map her emotions and imagination, with colour, texture and sinuous lines depicting the landscape of her thoughts.’ By following and depicting the emotions of colour and line the painting is gifted to her and she taps into the divine. Another phrase which has been used to describe this process is ‘truth to materials’, a phrase that emerged from the Arts and Crafts Movement, through its rejection of design work (often Victorian) which disguised by ornamentation the natural properties of the materials used. The phrase has been associated particularly with sculptors and architects, as both are able to reveal, in their way of working and in the finished article, the quality and personality of their materials; wood showing its grain, metal its tensile strength, and stone its texture. Henry Moore, for example, whose altar is central to this space wrote that, "each material has its own individual qualities … Stone, for example, is hard and concentrated and should not be falsified to look like soft flesh … It should keep its hard tense stoniness." Such artists search stones or wood which of their own creative potentialities. In these cases, the sculpture is gifted to the artist by the materials they use and their sculptures retain the personality and characteristics of these materials even at the same time as they may be transformed into characters and forms of myth and metaphor. In a Christian context, such experiences and approaches can be described as experiences of the Holy Spirit inspiring or coming on the artist. Certainly that has been my experience both in creating and preaching. I will often reflect or meditate on an experience, a song, an image, a Bible passage, by putting it in my mind, carrying it around in my mind over several days or weeks, reminding myself of it from time to time and just generally living with it for a period of time and when I do that then I find that, at some unexpected moment, a new thought or idea or image will come to me that makes sense or takes forward the experience or song or image or passage on which I had been reflecting. To my mind that is the Spirit coming and making connections, bringing clarity, making sense. Michael McDermott - The Silent Will Soon Be Singing. On 15 June 1215 at Runnymede King John agreed to have Magna Carta, the ‘Great Charter,’ sealed. This event has later become recognised as one of the most important events in English history as it marked the road to individual freedom, parliamentary democracy and to the supremacy of law. To mark this event, today, at Runnymede, there has been a national Magna Carta Foundation of Liberty ceremony, organised by the National Trust and Surrey County Council, and attended by 4,500 invited guests and VIPs from a cross-section of the community and around the world. The City of London is the only place to be named in Magna Carta, in a clause guaranteeing "the City of London shall have all its ancient liberties by land as well as by water." It also played a fundamentally important role in the events leading to Magna Carta: Temple, in the west of the City, was where a posse of barons first confronted King John to demand a charter. The City was also later granted the right to appoint a Mayor (later known as the Lord Mayor), part of whose duties was to ensure the provisions of Magna Carta were carried out. As part of the 800th Anniversary celebrations of Magna Carta, the 1297 Magna Carta is currently displayed in the City of London’s Heritage Gallery. Magna Carta starts as a religious document, concerned with the “health of the soul” of the King, and with the “honour of God,” and with the “exaltation of the Holy Church”. Dr Mike West notes that “Magna Carta established the freedom of the English church from state interference and this has grown to enshrine the rights of each individual to enjoy religious freedom”. the right to have no religion (e.g. to be atheist or agnostic) or to have non-religious beliefs protected (e.g. philosophical beliefs such as pacifism or veganism). The process which took us from the Magna Carta establishing the freedom of the English church from state interference to the rights which we all have to enjoy religious and non-religious freedom ran through the period explored by paintings in the recent re-hanging of the Guildhall Art Gallery’s Victorian Collection. The mid-19th century, as is noted in the Gallery’s description of the theme of ‘Faith’, saw a “crisis of faith” brought about by new scientific developments, such as geological discoveries and Darwin’s evolutionary theory, although the majority of society continued to consider personal spirituality as a key component of life. The debates which began in that period, and which never simply involved the binary oppositions of faith and science that feature in the usual popular commentaries on that period, continue into the present. These lead us firstly to value the freedom we have to hold either religious or non-religious beliefs. This comes with the recognition, identified primarily by Michael Polanyi, that all human knowledge, including that of science, is ultimately faith-based. This is so, because all knowledge relies on personal commitments which motivate our highest achievements and mean that we believe more than we can prove and know more than we can say. As Hebrews 11 expresses it, ‘Faith is the assurance of things hoped for, the conviction of things not seen.’ Secondly, for those who do hold religious beliefs, they lead us to value the place of doubt and debate in faith. The latter is well expressed by the statement at St Martin-in-the-Fields that the church exists to honour God by being an open and inclusive church that enables people to question and discover for themselves the significance of Jesus Christ. John Stainer - God So Loved The World. Start:Stop - What is your work for?